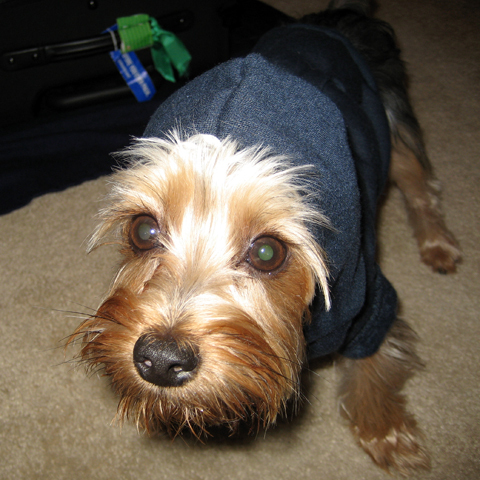 To Be Calimquim » Blog Archive » Suspect named T-Dog caught! The public is safe now that notorious bone stealer “T-Dog” has been apprehended. 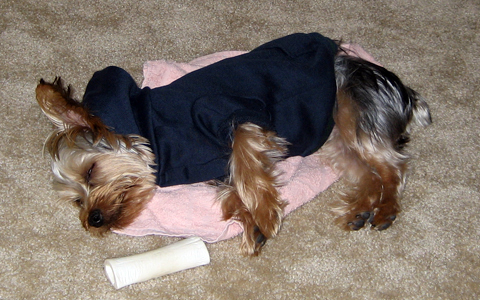 As you can see from the above picture, T-Dog was caught napping with the stolen bone. It is without a doubt, this criminal is going to do hard time in his playpen. The above picture shows T-Dog just as he was taken into custody. That innocent look and those puppy-dog eyes aren’t getting you off the hook, buddy!